How to improve milk production with grass mixtures? 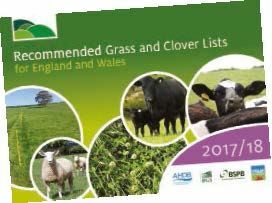 ForFarmers have updated their grass mixtures (known as Topgrass) in the UK for 2017 which as last year includes the latest new varieties on the Grass and Clover recommended list from leading plant breeding programs. These are higher yielding, better quality varieties providing improved use of fertiliser to boost grassland productivity and animal output. The range includes the latest high sugar grasses and maximum fibre digestibility varieties to provide good intake potential to support extra milk production or improved live-weight gains.